Seagulls are best known for their persistence at edging in for a chip thrown their way but the Backyard Buddies program is encouraging residents to see the positive side. Foundation for National Parks and Wildlife CEO Steve Corbett said the birds were good at eating lots of things. 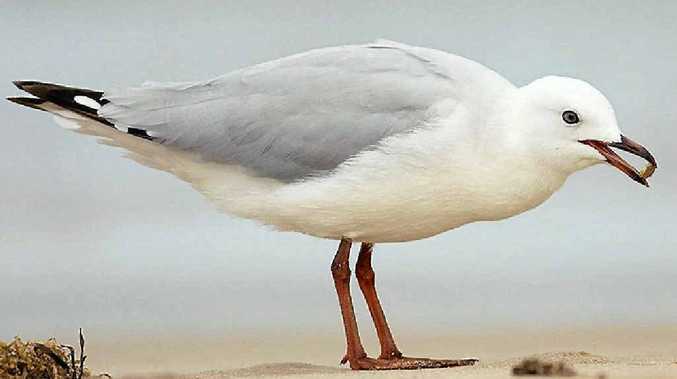 "Seagulls are good buddies to have around because they eat up invertebrates, worms, bugs and grubs," Mr Corbett said. "They also are great scavengers that love to eat up any titbits of food people might drop." He said the best thing you could do for the birds was to keep pets at bay. "You can be a buddy to seagulls by keeping your cat indoors, and keeping your dog on a lead when near these birds," he said. "If you would rather not be surrounded by a flock of seagulls, don't feed them. And avoid trying to shoo them away for good. "Seagulls like to frequent the same spot on the same beach year in and year out when they're not on offshore islands to breed," Mr Corbett said.